Because San Diego Fertility Center saw the need for gestational surrogacy increasing in recent years, we expanded the scope of our surrogacy program. Both Dr.Hummel and Dr. Kettel have extensive experience and report excellent success rates in this fertility option. We work together with all surrogate agencies in the US. Surrogacy success rates at SDFC currently are 80.5% clinical pregnancies per transfer. Protocols are constantly changing and improving therefore we think that the clinical pregnancy rate per transfer most accurately reflects the current performance of our surrogacy program. Because we believe in our outstanding clinical expertise and pregnancy success statistics, we can offer a risk sharing financial option we call “Success Based-Risk Sharing Plan”. This plan is based on the principles of mutual commitments. It requires certain entry criteria, which are likely to be met by couples choosing surrogacy because of the surrogate’s ideal reproductive history. The program outcome is a birth of a live born child, or a refund. A couple’s application is reviewed based on clearly defined entry criteria like hormone levels, sperm quality and age of the egg. Some couples may find a surrogate who is a family member or friend, but the majority will take advantage of our national network of third party facilitators. We work with all major surrogate agencies and attorneys specialized in reproductive law and can recommend patients the best choices to find a surrogate. 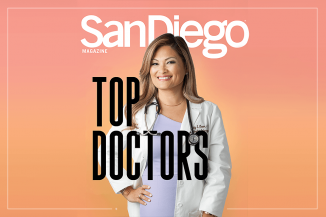 For patients who do not live in the San Diego area, we also provide a nurse practitioner dedicated to he formulation and coordination of your treatment plan. This has proven to be a very smooth process and cost effective for our patients. For more information about the surrogacy program and the success based-risk sharing plan go to our website.